KAPPA. 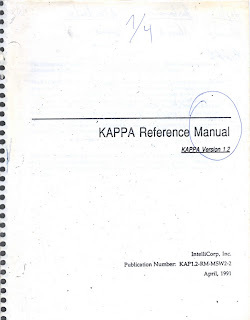 Reference Manual version 1.2. IntelliCorp, Inc. Publicayion Number: KAP 1.2 - RM - MSW2-2. April, 1991. KAPPA. 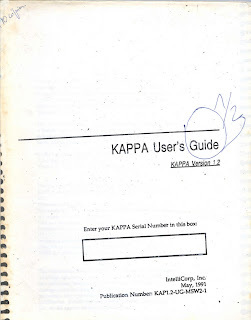 User's Guide version 1.2. IntelliCorp, Inc. May, 1991.